While other kids dream about cars, sports, and fashion, all Samantha Morris dreams about is playing the drums. But it's hard to make her dreams come true when her parents are against it, she bangs on dictionaries because she can't afford a real kit, and her middle school is cutting its music program. Sam's only hope to accomplish her dream is to find a private music teacher and pay for lessons herself -- even if it means borrowing the family lawnmower without permission to make the money. But when one of her friends tells her she's the worst percussionist in the band, she starts to wonder if she's got what it takes. If Sam wants to become a real drummer, she must also overcome her parents’ doubts, her classmates’ doubts, and her own doubts to succeed. I feel like the adult world loves telling kids they can be whatever they want to be, but only if their dreams fit into a shiny little box. Kids who dream of music nowadays are more likely to get eye rolls than real support to make their dreams come true. I wanted to write about a kid who has all the drive to make it happen but has to fight harder than anyone else to prove it. Sam was always a percussionist in my imagination because drummers are unlike any other musician. They live on another planet much cooler than our own. Sam sounds like just the kind of girl we'd want on our side in middle school! Without further ado, here's the cover reveal! I absolutely love the cover Chris Piascik designed. The guy is a monster of an artist, and his work screams with energy. The beat-up drum set front and center is perfect – Sam's dreams are held back by the monetary requirements that come with learning an instrument, and yet she still sees her musical life as beautifully rough around the edges. The title is where you can truly see Chris’s magic touch. I couldn't have imagined a cooler font, and it’s great how it flows out of the drum set like sound waves. I also love the inclusion of the shoes in the corner. It's a small character detail, but it says so much about youthful energy and the inner drive to rock out. It also doesn't hurt that I was best man at a wedding where we wore similar shoes with our tuxes -- they felt surprisingly classy! Be sure to enter the Rafflecopter below for a chance to win a signed Advanced Reader copy of I AM DRUMS! 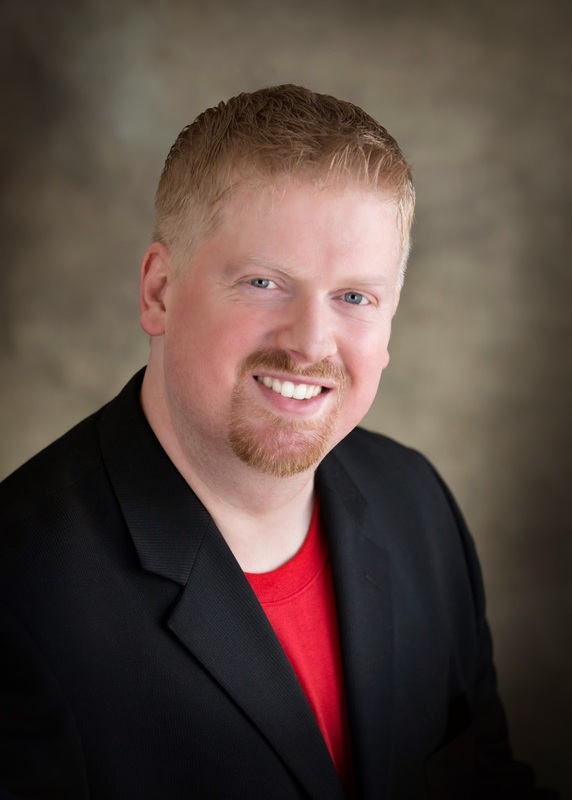 Mike Grosso is a writer, teacher, and musician from Oak Park, Illinois, where he lives with his wife and son. He hopes to one day live in a house where he can have a drum set without driving his neighbors insane. He always keeps a guitar in his fourth grade classroom, and encourages his students to study music whenever the opportunity presents itself. 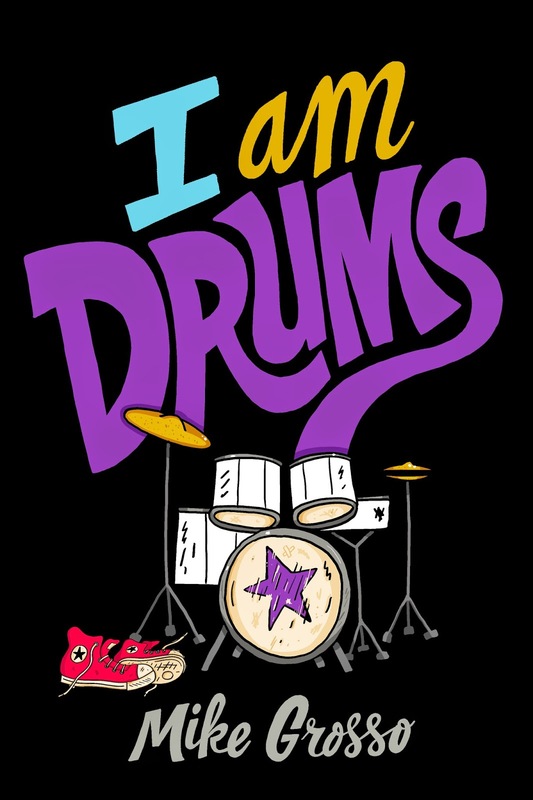 I AM DRUMS is his debut novel. Thanks, Mike, for sharing I AM DRUMS with us today! Hey, anything that is not utterly depressing sounds good these days. When I was that age, I babysat in order to buy myself a sewing machine, so it's good to see young people passionate about something rather than wallowing in grief and depression! Hey, Mike. I couldn't be happier for you. The cover is absolutely perfect!!! Chris Piascik did a bang up job. Congrats! Thanks, Kerry! It will look nice next to JUST A DROP OF WATER on my classroom bookshelf! That's great that you picked it up again! Growing pains with a new instrument can be tough. Ugh, tell me about it. But it's worth it, and even at my super beginner level I'm getting a lot of therapy, uh, enjoyment, out of it!